“We are sad to announce the passing of Lynn Willis, a pillar of Chaosium, Call of Cthulhu, and of the roleplaying community. Lynn had been combating aging and illness for several years, and passed while in a hospital for treatment. He is survived by his partner Marcia, and a community of friends and admirers. Lynn began in gaming as a board game designer, and entered Chaosium with Lords of the Middle Sea. 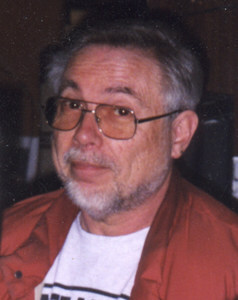 He was the third employee of Chaosium, first as an editor and then as the mastermind behind the entire Call of Cthulhu line, as well as other projects, for the decades that he was with us. He loved his work and brought all his abilities to the job. He was incredibly smart, astonishingly widely read, detail oriented, and capable. He is largely responsible for the high quality, playability, and popularity of the leading horror RPG in our field. CREDITS: Chaosium Dude since 1978; co-creator of Call of Cthulhu. Other credits include BOARD GAMES: Dragon Pass, Lords of the Middle Sea, Stomp, Reich, Raiders and Traders, Panzer Pranks, Arkham Horror. ROLEPLAYING GAMES: Basic Roleplaying, M.U. Graduate Kit, Keeper’s Kit 1, 2, Engage & Destroy, Vive l’Empreur, Thieves’ World, Thieves’ World Companion, Worlds of Wonder, Ringworld, Ringworld Companion, King Arthur Companion 1, 2, 3, RuneQuest 1, 2, 3, etc., Apple Lane 1, 2, etc., Snakepipe Hollow 1, 2, etc., Cults of Prax 1, 2, etc., Cults of Terror, Borderlands, Pavis, The Big Rubble, Questworld, Stormbringer Companion, Demon Magic, Cities, Carse, Tulan of the Isles, Elric, Melnibone, Fate of Fools, Bronze Grimoire, Atlas of the Young Kingdoms, Seas of Fate, The Unknown East, Cthulhu Live, Call of Cthulhu 1, 2, 3, 4, 5, 5.5, 6, Shadows of Yog-Sothoth, The Asylum, Cthulhu Companion, Fragments of Fear, Masks of Nyarlathotep, Alone against the Wendigo, Alone against the Dark, Cthulhu by Gaslight, Dreamlands, Spawn of Azathoth, Terror Australis, Great Old Ones, Cthulhu Now, Arkham Unveiled, At Your Door, Fatal Experiments, Blood Brothers, Blood Brothers II, Horror on the Orient Express, Cairo Guidebook, Dark Designs, Fearful Passages London Guidebook, King of Chicago, Miskatonic University, Taint of Madness, Compact Arkham Unveiled, Booke of Monstres 1 and 2, No Man’s Land, Horror’s Heart, Complete Masks of Nyarlathotep, Resection of Time, Secrets, Dreaming Stone, Before the Fall, Last Rites, Beyond the Mountains of Madness, M.U. Antarctic Expedition Pack, Unseen Masters, Keeper’s Companion 1. FICTION: Castle of Eyes, Hastur Cycle, Singers of Strange Songs, Complete Pegana, Nightmare’s Disciple, Percival, Bear of Britain, Book of Dzyan, S. Petersen’s Field Guide to Cthulhu Monsters, S. Petersen’s Field Guide to Creatures of the Dreamlands. He will be missed. We trust that he is at peace. We give Marcia our thanks and blessings for her devoted love and support for Lynn, and wish her joy, happiness, and success in her future endeavors and memories of the past. Charlie Krank, President Chaosium Inc.